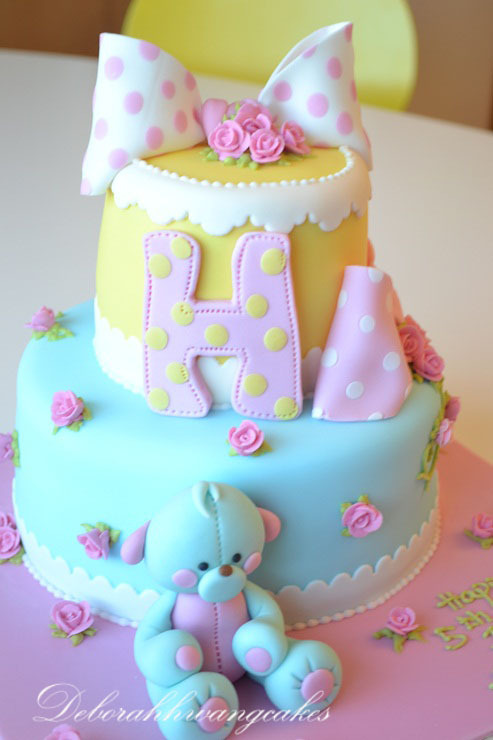 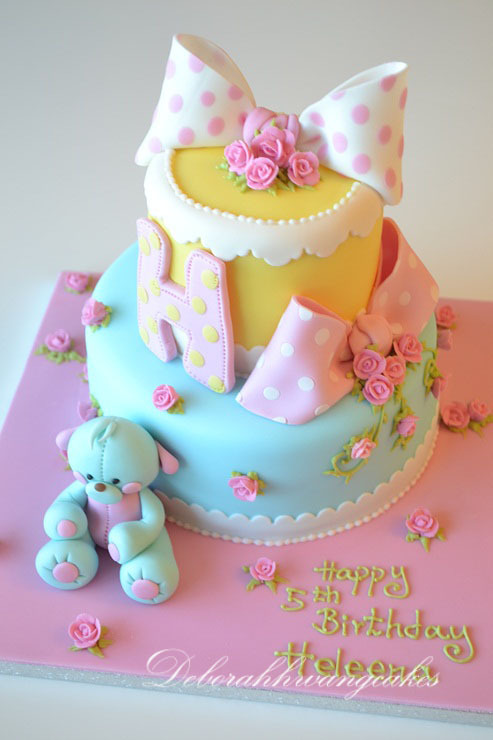 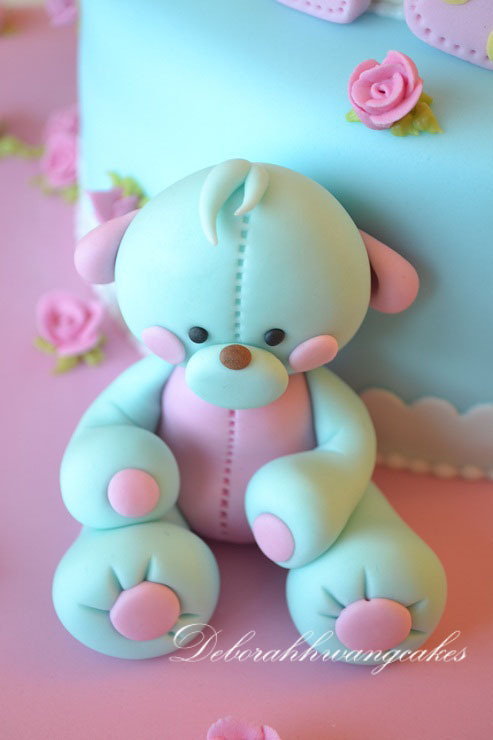 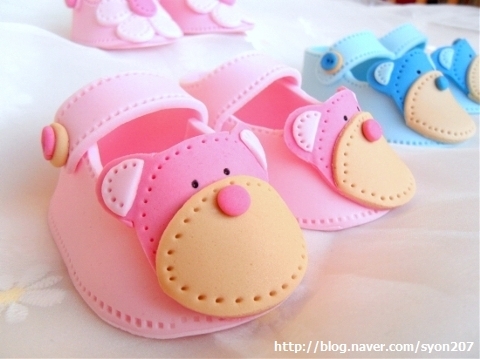 lace decorations, teddy bear and the letter H.
or use half - fondant, half - gumpast mixture. 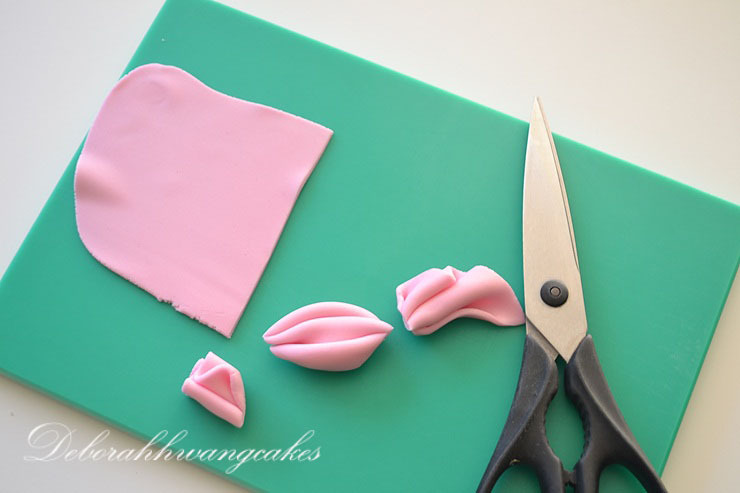 but you can use any small fondant flowers. 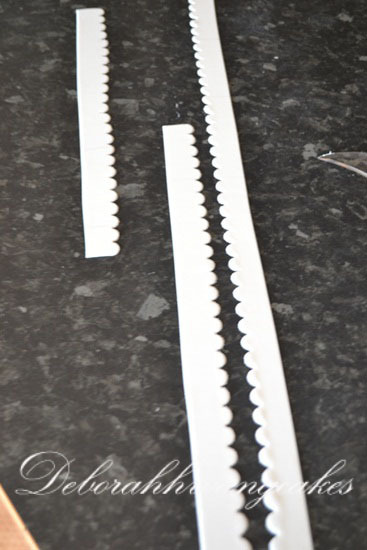 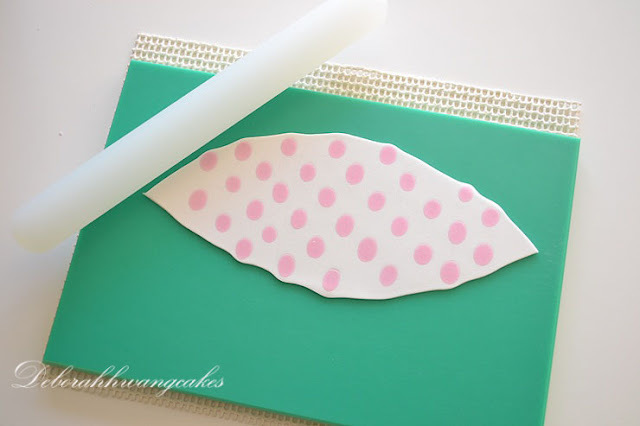 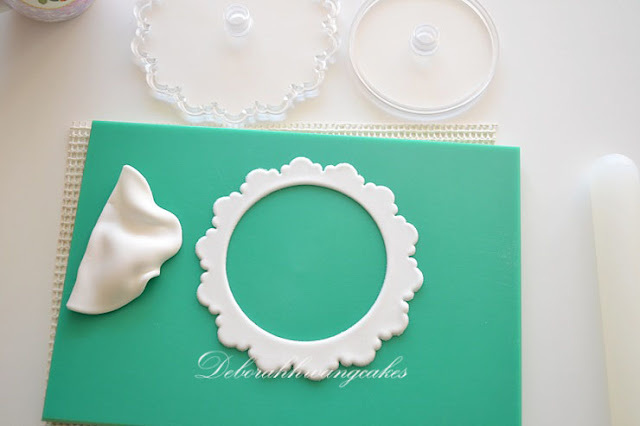 I use FMM straight frill cutter. 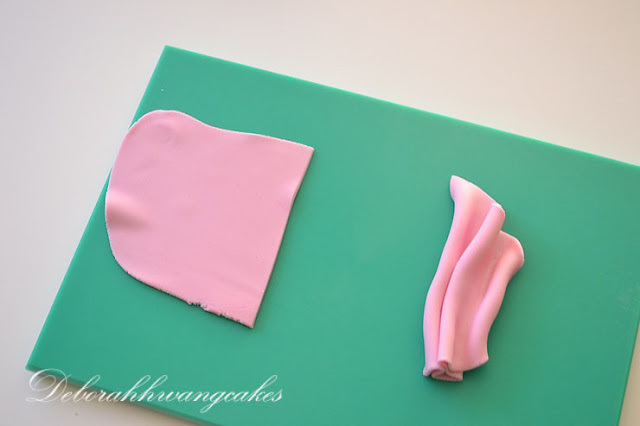 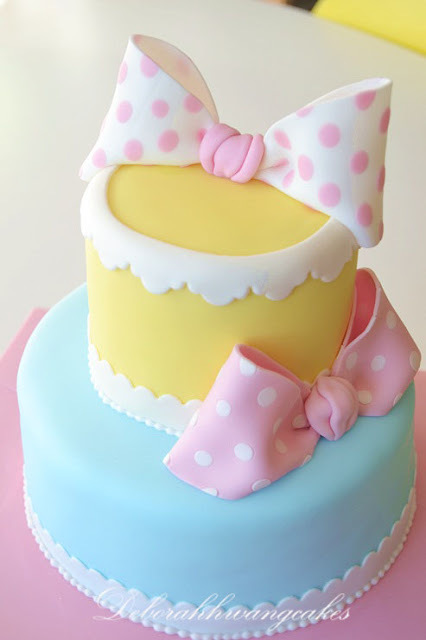 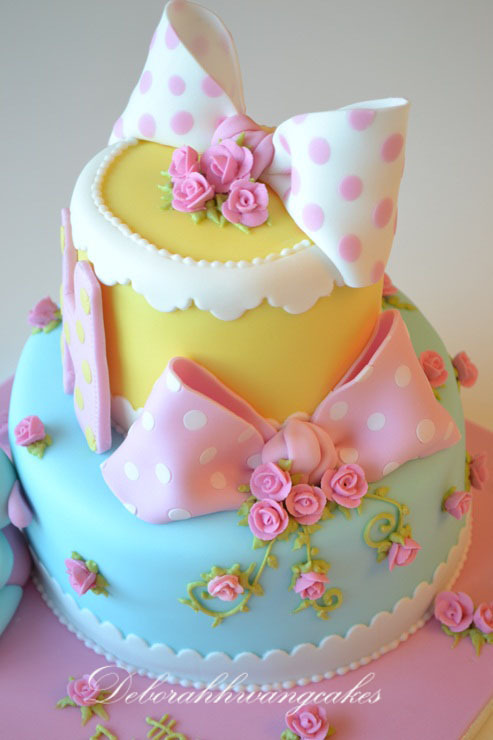 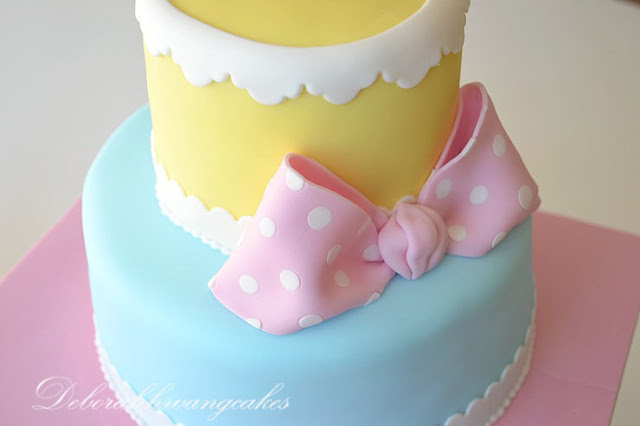 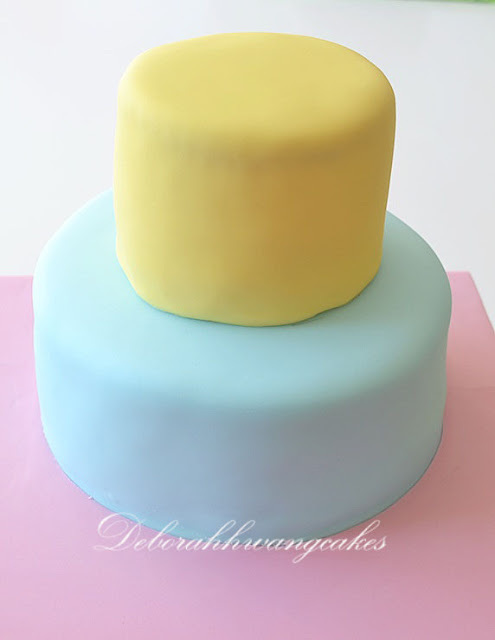 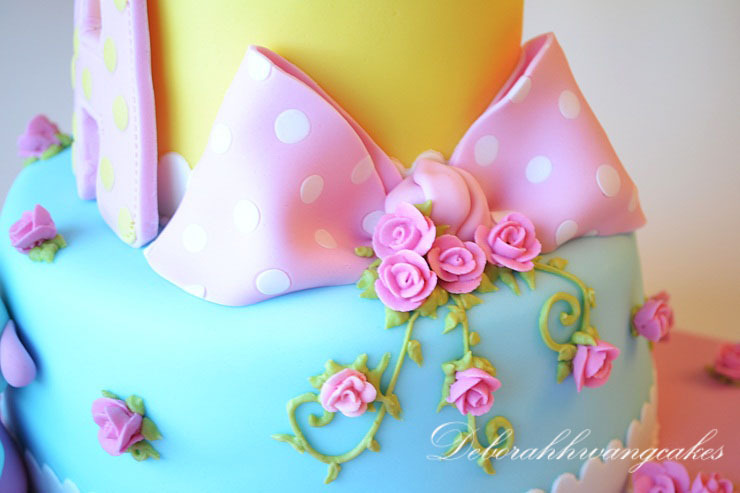 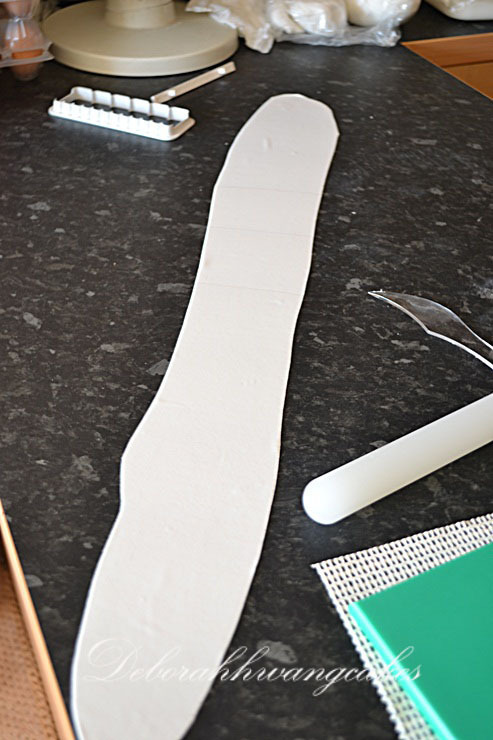 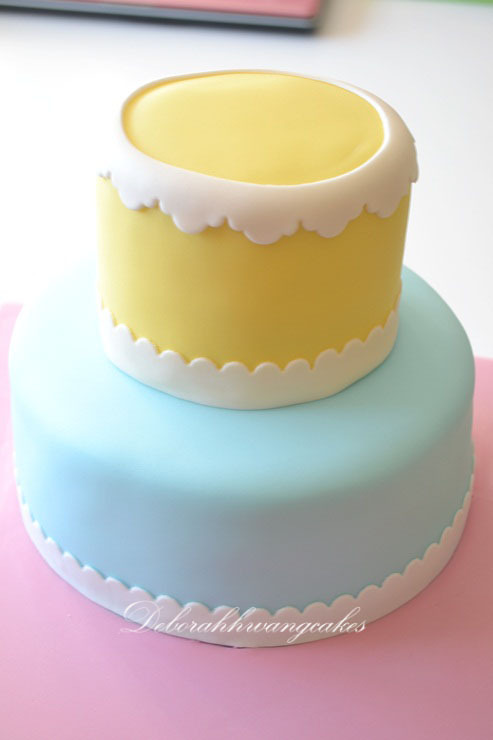 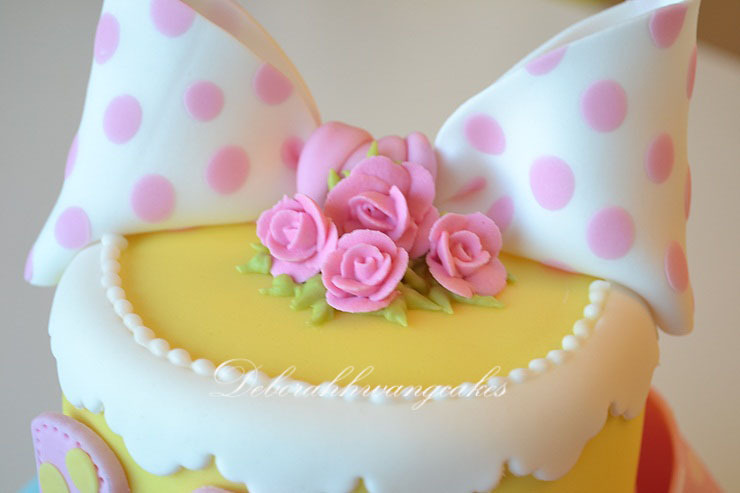 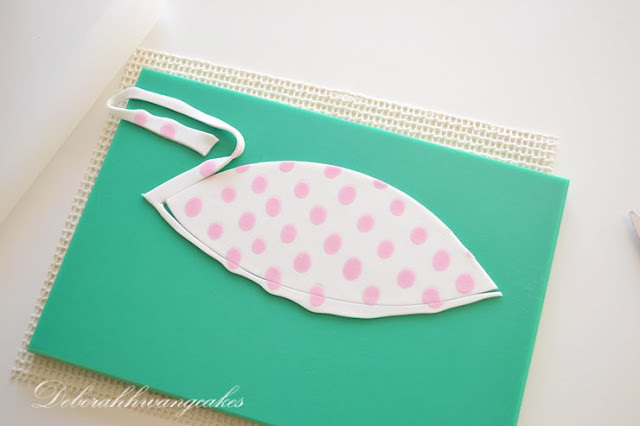 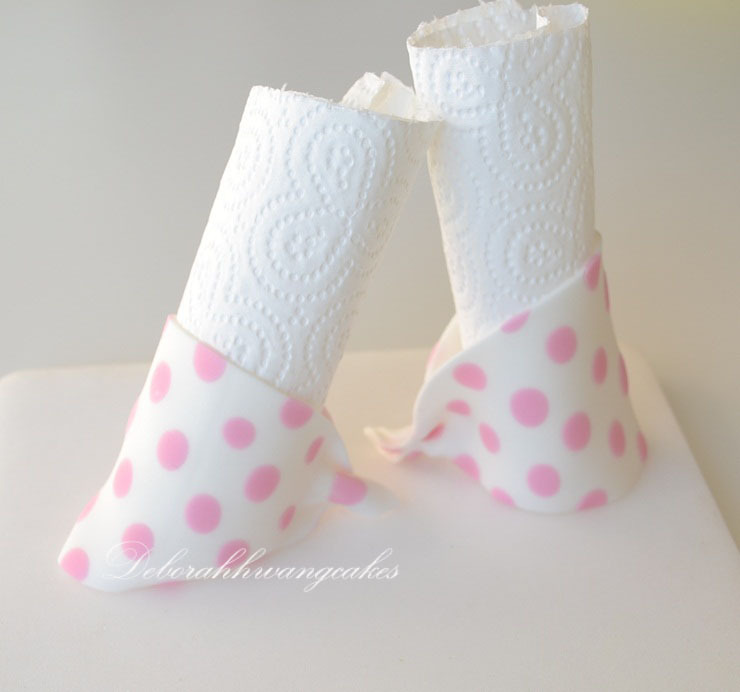 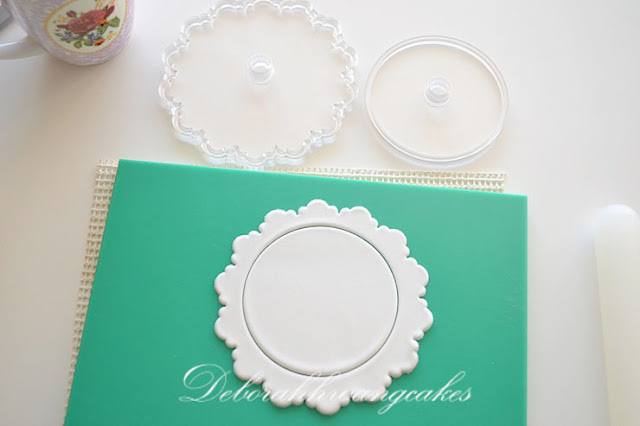 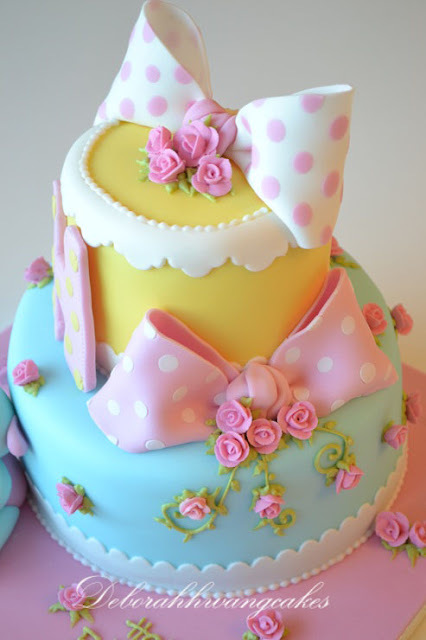 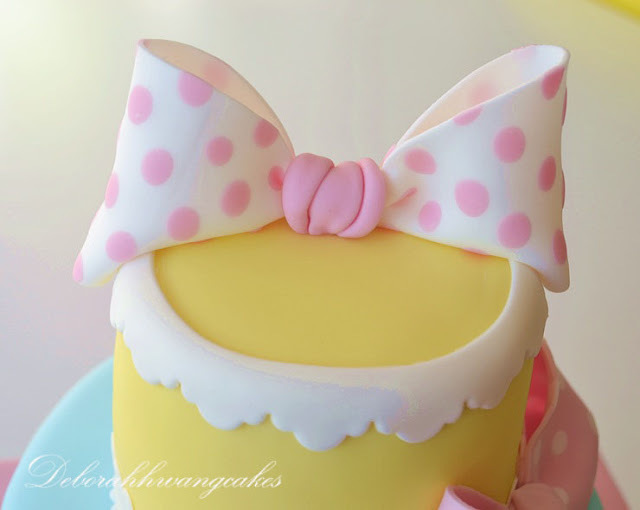 Roll out some white fondant to 3~4mm thick and cut it into bow shape like the picture. 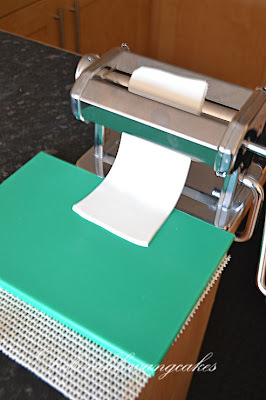 down onto the white paste using your thumb. 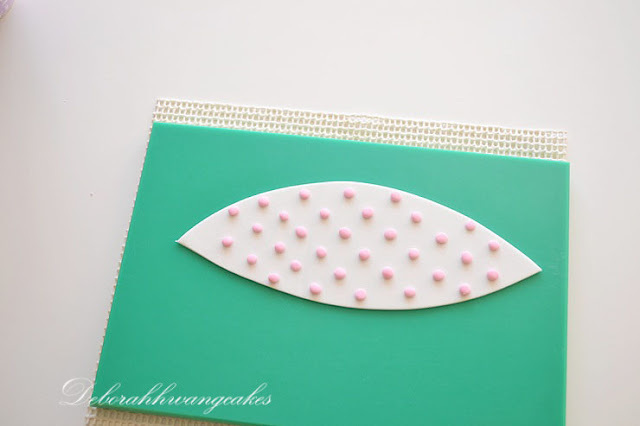 incorporate the dots into it.